Thanks to the visionary research of Healing Sounds pioneer, Jonathan Goldman, the eternal resonance of Lemuria is now available to explore anew! Reconnect, remember, and resonate with the primordial wisdom of Lemuria with the Lemurian Tuning Forks™ An ancient vision for the future awaits you. Experience it now! 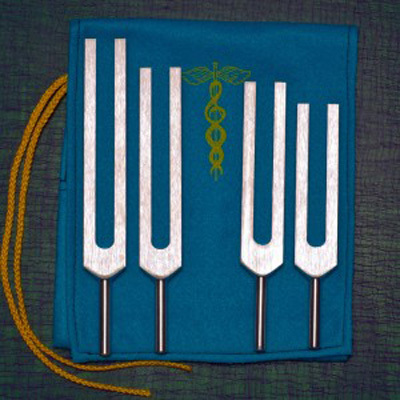 The Lemurian Tuning Forks™ package includes: Four precision tuned Lemurian Tuning Forks™, Healing Sounds Tuning Fork Resonator, 20 page instruction manual, Plush four pocket carrying pouch.